The Amp We Never Made – Until Today! 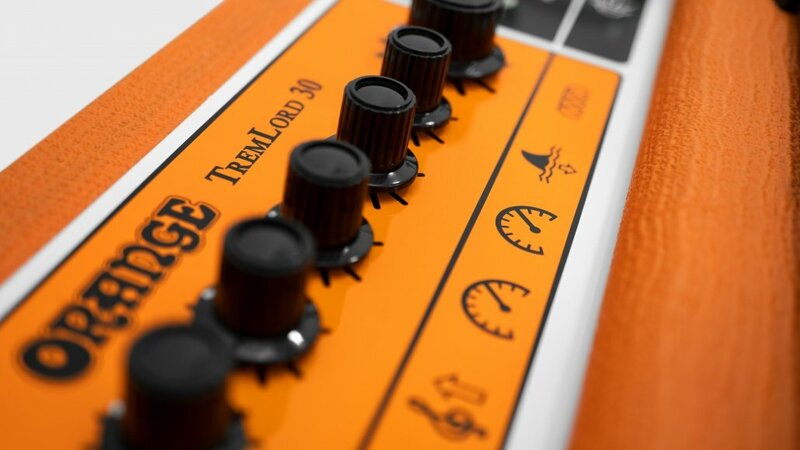 Orange Amplification is proud to announce their most vintage guitar amplifier ever, the TremLord 30, a 30w 1×12 all valve guitar combo with built-in valve driven tremolo and reverb. Orange have done it differently again – making a fifties inspired amp for the modern player, see the TremLord in action here. · EL84 valves giving loads of clean headroom, making it the perfect platform for all guitar pedals. · Valve Tremolo with two foot switchable speeds giving versatile depth control, play the guitar not the amp’s controls. · A two spring Reverb tank offering masses of reverb with springs that can be heard, making it deeper, splashier and crashier. · A post – tremolo FX loop allows players to use proper, built in tremolo anywhere in a modern FX chain. · A specially designed premium Lavoce 12” speaker which is smooth, clean and warm with a clear defined sound. · Headroom (30/15 Watts) or Bedroom (2 Watts/1 Watt) Switch for practice or recording at low volume levels. Check it out at the Orange Amplification booth #4644, Hall D at Winter NAMM 2019 where all the other Orange products can also be seen.